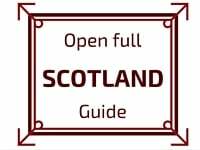 Ost visit of Glasgow start in the city center in George Square. 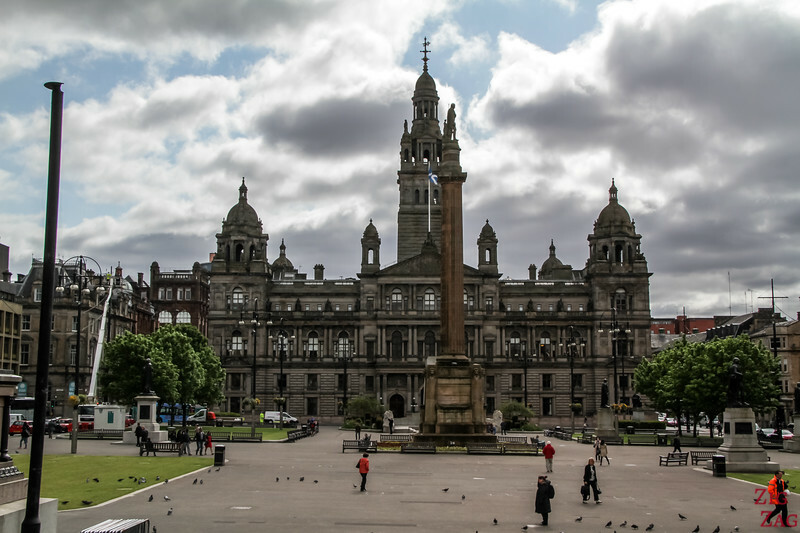 The large place is home to a central column with the statue of Sir Walter Scott and the building of the City Chambers. 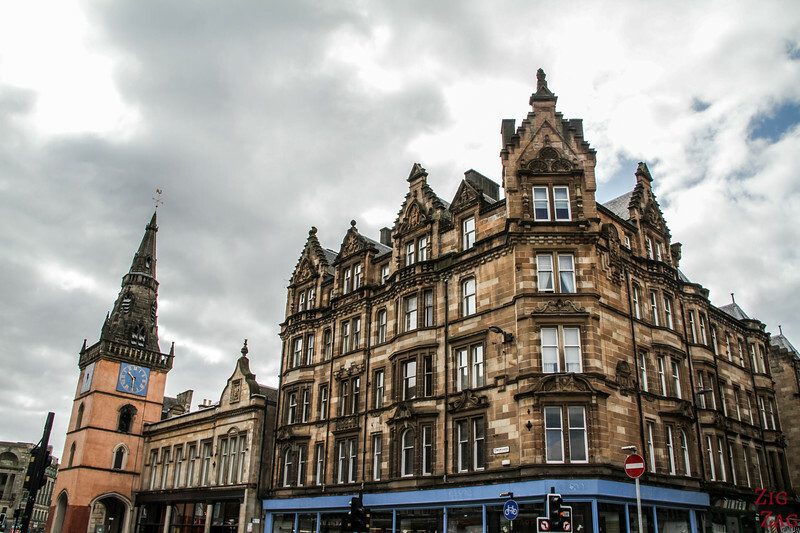 From George Square, explore the city center on foot. 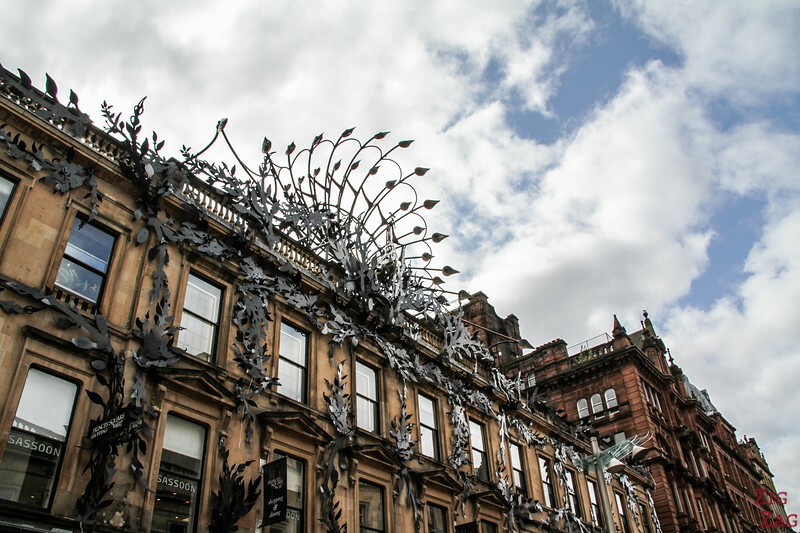 The pedestrian roads are especially enjoyable with some beautiful façades. Take your time, you will see strange things. 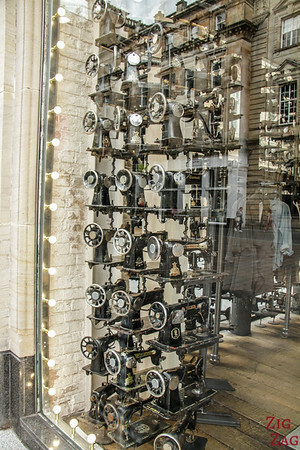 For example this shop had hundreds of all sewing machine on display in the windows. And other buildings display art on the outside... 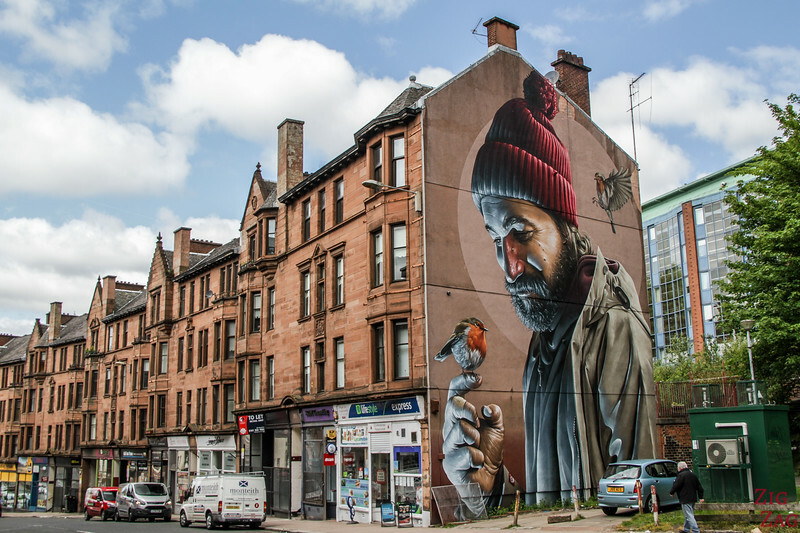 The music art is also very vibrant in Glasgow, and you will find many artists to listen to in those streets. 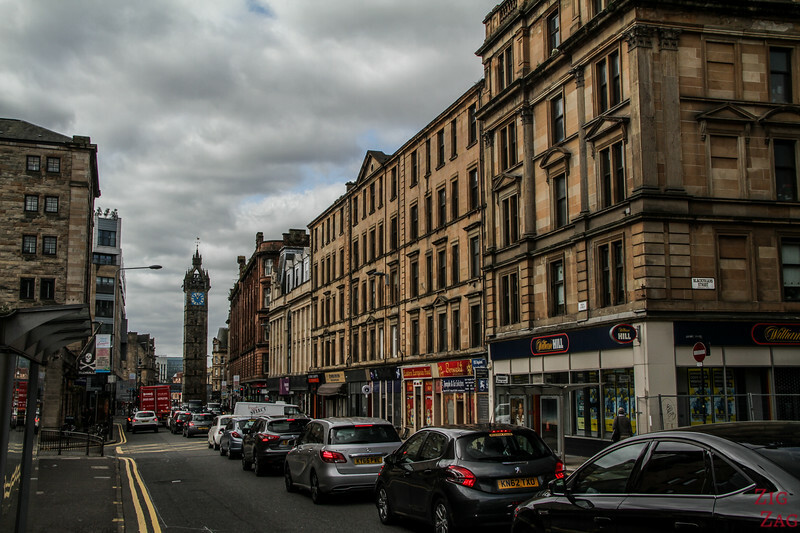 Then you can drive or walk up Trongate, one of the oldest street of Glasgow, Scotland. 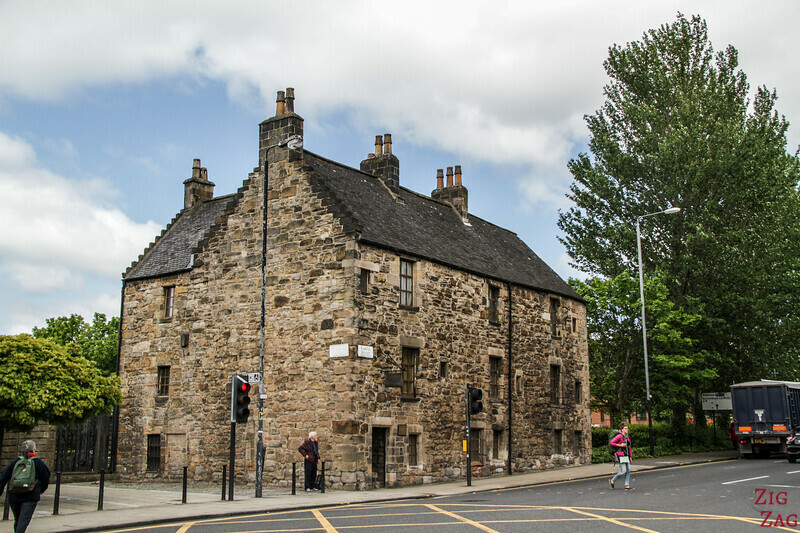 To the East it starts at the original center of the medieval Glasgow. 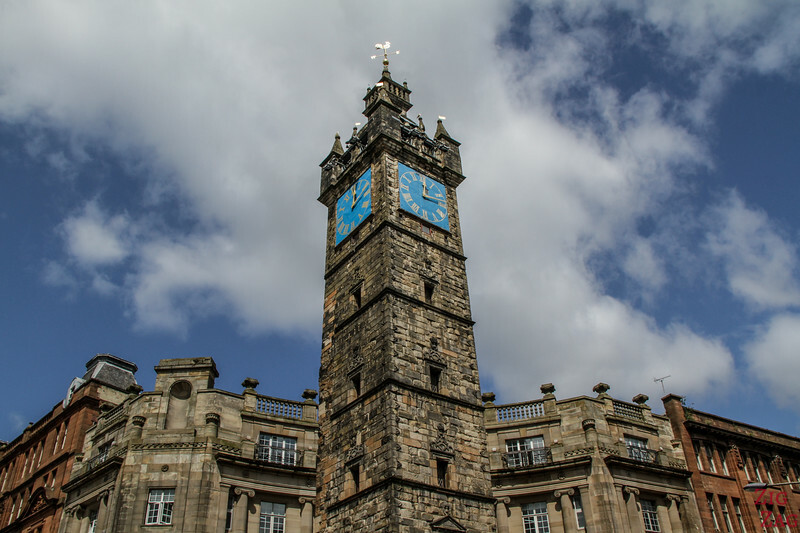 There you will find the Tolbooth clock tower (also known as the Tolbooth Steeple) which was part of the original city chambers, built in the 17th century and destroyed in the 20th. Before that on Trongate is the famous Tron Theatre. After all that you might want a break from architecture to enjoy some green. Glasgow Green is a large park South East of the city Center. 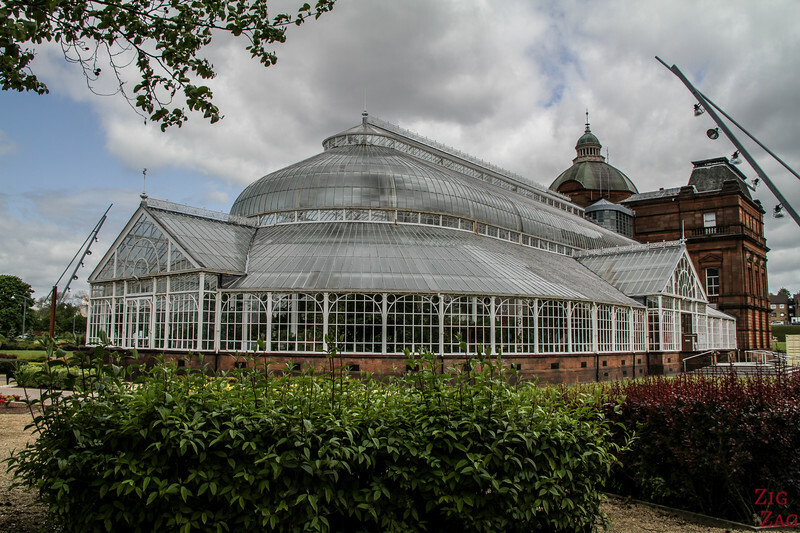 It is home to the People's Palace, its museum and the Winter Gardens. Learn more ​on the article dedicated to the People's Palace. 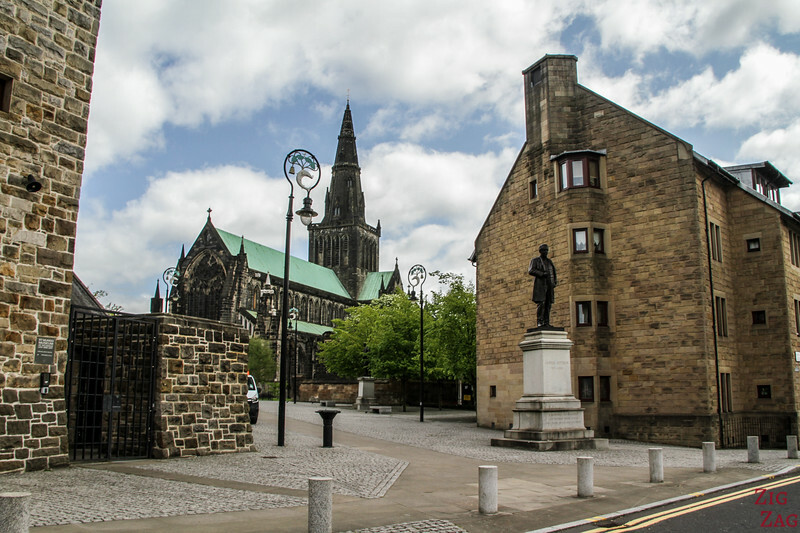 After that you can get up to the area surrounding the Glasgow Cathedral. 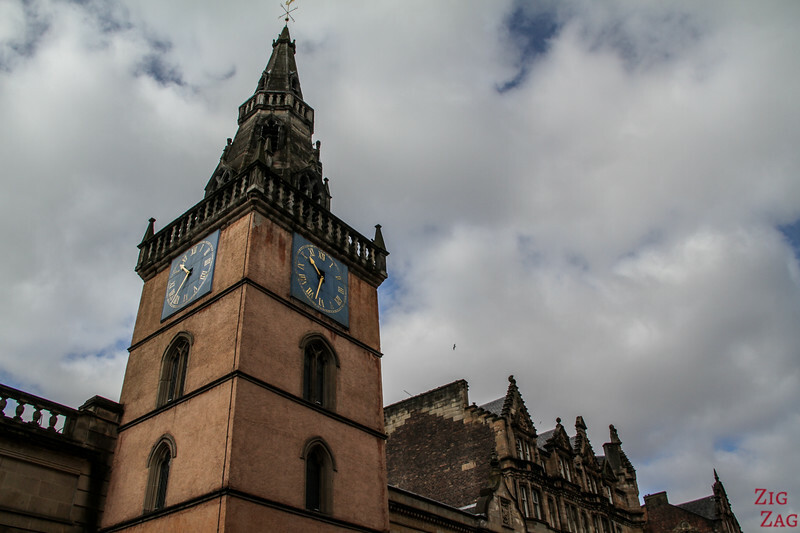 A visit to the St Mungo's Cathedral in Glasgow is certainly in order (check out more photos on the Glasgow Cathedral article). Don't forget to discover the lower church! the Provand's lordship (picture below), a house dating back to the 15th century and is nowadays a museum. 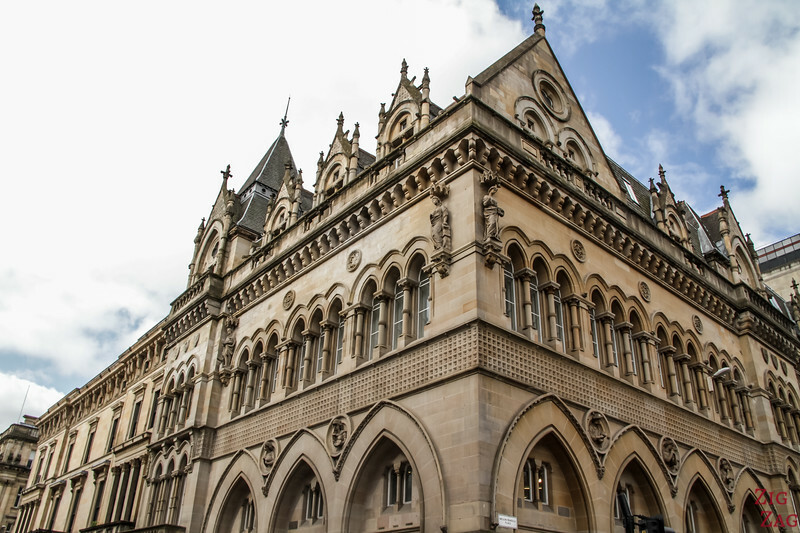 As you visit Glasgow, don't miss a drive along the river. It is a feast for the eyes for those who love modern architecture. The river flowing in Glasgow is River Clyde. 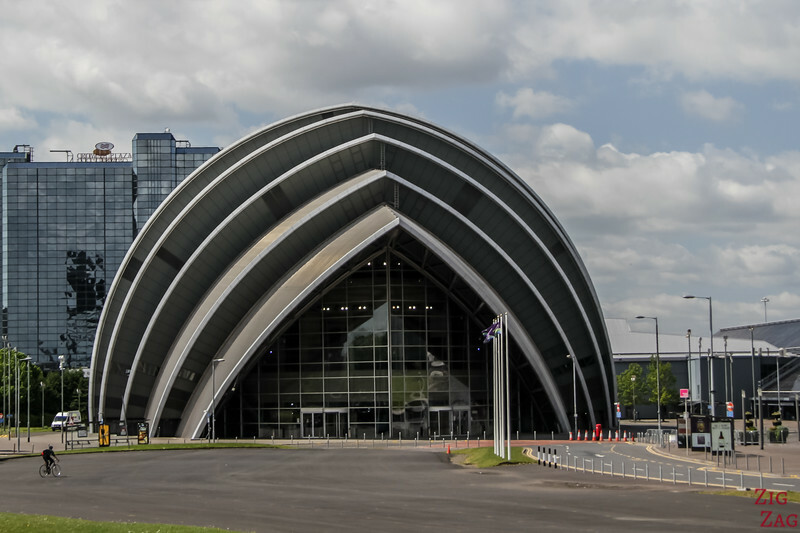 Its shores are home to the Hydro park, the Scottish exhibition center. 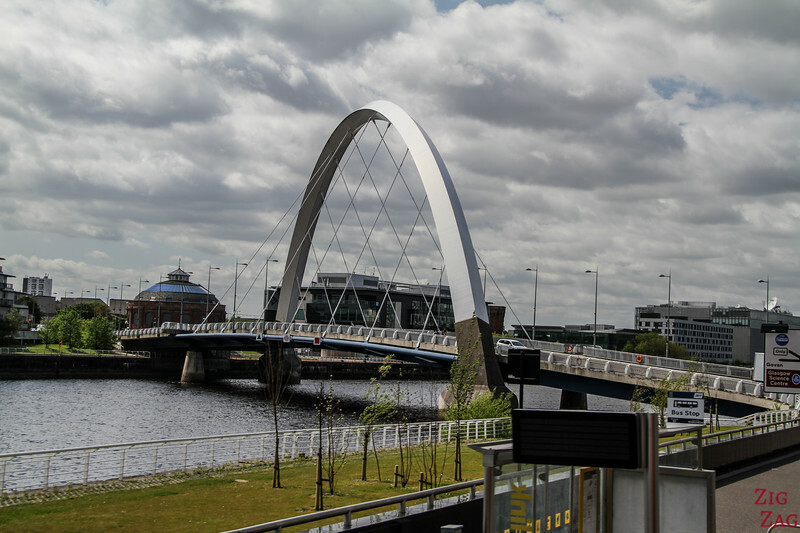 The most famous bridge below is the Clyde Arc. 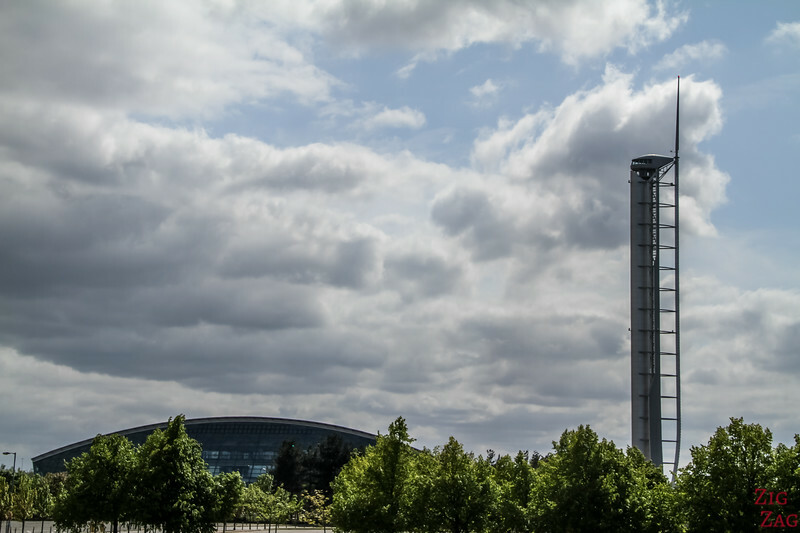 If you love seeing cities from above, you can head to the South shore of River Clyde and enjoy the 360° view from the top of the Glasgow Tower. 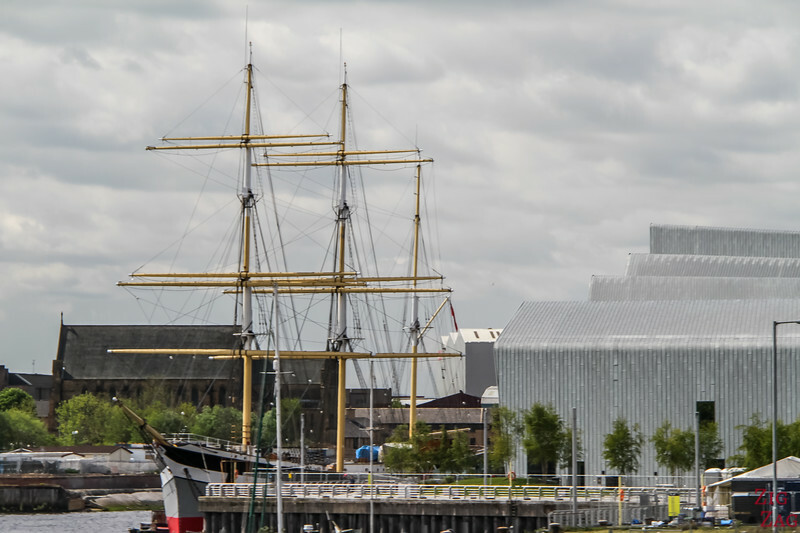 But boat and train buffs might prefer the Riverside Museum with its ship. It is a museum of Transport. 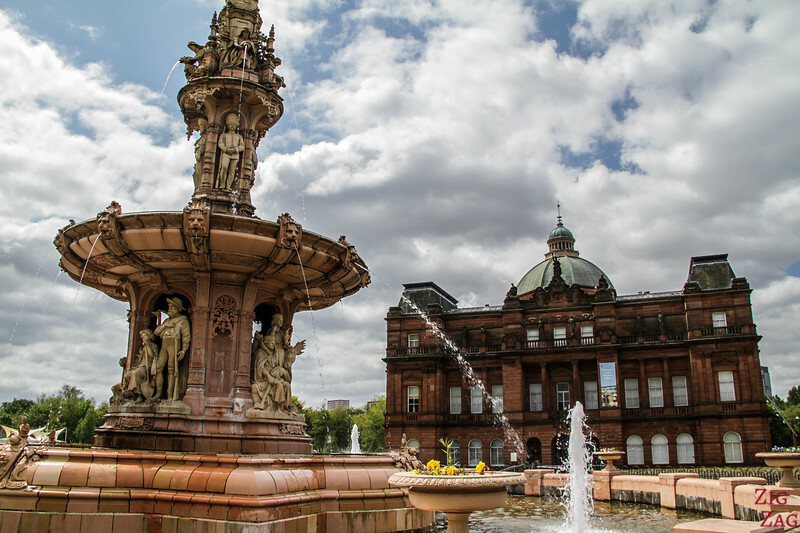 With over 3000 objects on display, from skateboards to locomotive, plan an extra half a day t your visit of Glasgow. 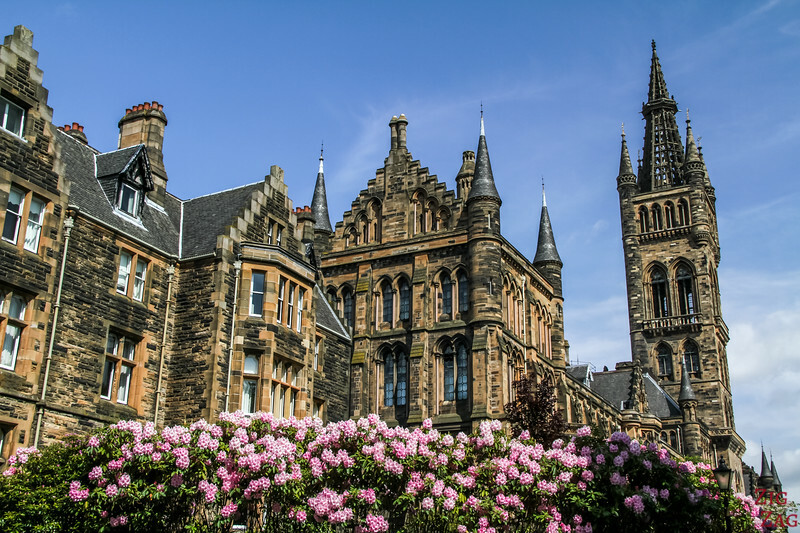 I suggest finishing the day by an exploration of the stunning Glasgow University (more photos on the article dedicated to the Glasgow University). The architecture is spectacular and its position on a hill provides great views and much needed greenery. 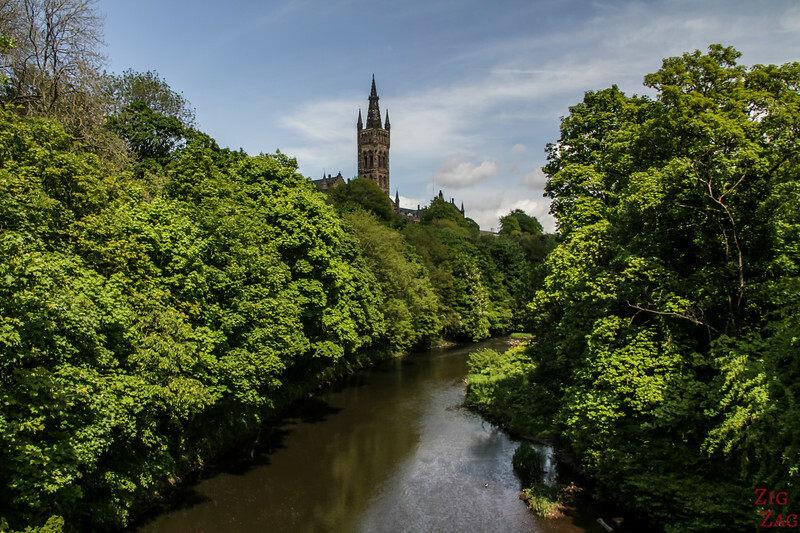 Then you can walk down in Kelvingrove park where River Kelvin makes its ways in a lush environment. 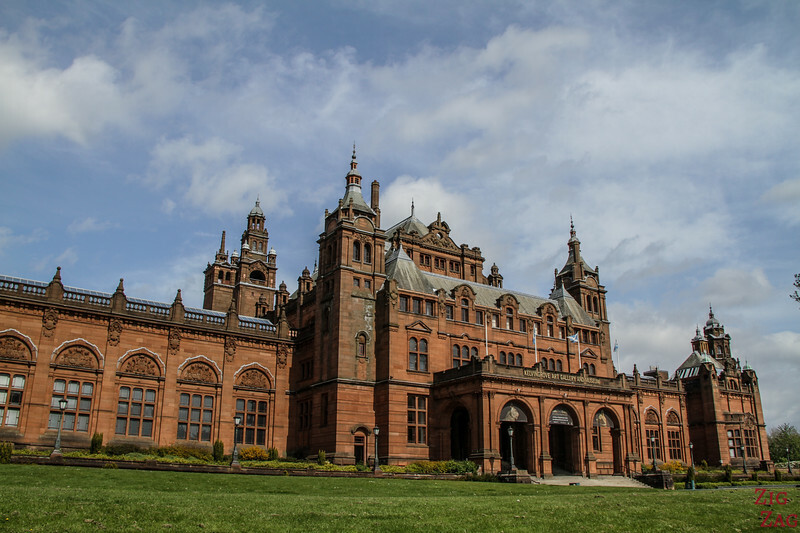 There you can appreciate the architecture of the Kelvingrove Art Gallery and Museum. 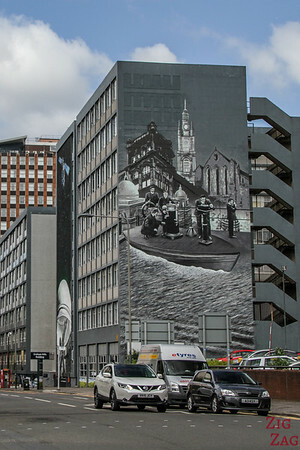 Glasgow is a busy city and contrary to Edinburgh the sights are far apart. It is one of the cities where the hop on hop off bus is a very practical way to discover the city, especially if you only have one day.